On the job, sometimes you’ve got to be seen. But this men's work shirt is about so much more than just that. Coming from a work wear legend, this CAT Men's 1510232 407 Hi Vis Yellow Short Sleeve Shirt is full of the very latest in style, fabric, and safety techno ... (see full details) (see specifications) #CAT1510232-407. On the job, sometimes you’ve got to be seen. But this men's work shirt is about so much more than just that. Coming from a work wear legend, this CAT Men's 1510232 407 Hi Vis Yellow Short Sleeve Shirt is full of the very latest in style, fabric, and safety technology. This CAT shirt is made from hard-wearing 5.3 oz 100% polyester, so it’s ready to stand up to the toughest jobs. And its soft finish means you’ll be comfortable out there, with the added feature of a tagless back neck. It’s features like this that go to show, CAT has really thought about how you do what you do and they want you to do it free from irritation. The technology of this high-visibility shirt helps you keep cool too because this work shirt has antimicrobial properties, so you won’t have to worry about odors and you’ll feel fresher for longer, even when the temperature rises. And when the heat is on, you’ll have the best chance of staying dry because this anti-odor shirt wicks moisture to the surface and allows it to dry quicker. 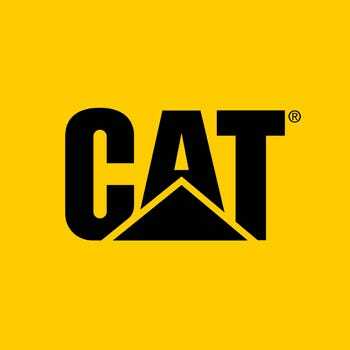 With the distinctive Cat logo printed on the handy front pocket and across the back, you'll be a safe, seen working machine! Wear one of these CAT Men's 1510232 407 Hi Vis Yellow Short Sleeve Shirt and see just how comfortable safety can be. After all, safety is important, but so is comfort. I purchased this shirt to wear at work when walking back and forth outside between buildings since there is a very high traffic area at my place of work.I work at Caterpillar and have to move around these huge machines so with this shirt on I am more visible to the operaters.This shirt is bright in color so its easy to be seen.I recommend this shirt to others who have to work outside in heavy traffic areas. I am the type that does not like wearing safety vests. So I usually wear Hi vis shirts instead. This particular shirt does the job. It fits great and looks great and is comfortable. I've only had it for a month so I cannot comment about long lasting, but so far so good. I would highly recommend this garment instead of wearing a safety vest. This t-shirt is lightweight takes the moisture away from your body keeps you cool. And on the job site I don't have to worry about wearing a safety vest because these are high visibility shirts that meet the safety standards I really like this product. CAT Apparel Shirts: Men's 1510232 407 Hi Vis Yellow Short Sleeve Shirt is being added to your cart.